How good is the content on your business website? That’s an important question for every business owner to ask. When done right, your website content informs the reader, builds trust, and leads to the next stage in the sales funnel—a phone call, an appointment, or even a purchase. When done wrong, though, your website content is just an online placeholder. A waste of valuable space. So how can you tell that you’re in that first column with your website material? Here are 10 hallmarks you can look for. You have original content on every page. It can be tempting to duplicate content from one product page to the next, or from one location page to the next—but duplication will sink your SEO rankings. Every page should be 100 percent distinct from the others. Your content is formatted for readability. Is it easy for users to read and skim your website material, on any device? Do you use section sub-headings, bulleted lists, and plenty of white space to ease readability? Your content is written with buyer personas in mind. Who are you writing for? Who’s your target audience? And how can you ensure your website is answering the audience’s key questions and major pain points? Always tailor the content to the reader. You have calls to action on every page. Every page should have a clear invitation for the reader to take the next step in their journey—whether that means calling you for more information or simply navigating to the next page. Your content is substantive. This may seem a little esoteric—but what we really mean here is that your content isn’t flimsy. It should always offer a real, valuable takeaway message you’re your target audience. Always ask yourself: What’s in it for my reader? You have content information on every page. For local SEO purposes, it’s best to include full NAP (name, address, phone number) details on every page of your website. You offer a clear value proposition. What benefits do you offer to the end user? Why would a customer pick you over the competition? These are some of the most important questions for your website content to address. Your content has both internal and external links. For SEO purposes, it’s ideal to include some judicious internal links to relevant pages, and also to feature some links to authoritative external sites (not your competitors, of course). Your content conveys trust. How are you building relationships and earning consumer confidence? Think in terms of seals, guarantees, testimonials, and summaries of your industry authority and expertise. Your content is reviewed and refreshed regularly. We recommend auditing your content at least once a year, and refreshing it as needed. For SEO purposes, a content refresh can be invaluable—try to schedule one every couple of years. These are a just a few of the signs that your website content is written to perform. If your site doesn’t match these criteria, we invite you to schedule a consultation with our website content writing experts. Reach out to Grammar Chic, Inc. for a free evaluation via www.grammarchic.net or 803-831-7444. It seems like there’s a new article written every minute about content marketing to millennials—but what if you’re trying to reach a slightly more mature audience? A couple of important truths: One, while members of the Boomer generation may not be “digital natives,” that hardly means they don’t use the Web or turn to Google searches to research purchasing decisions. And two, if your company sells products to Boomers, it’s smart to reach out to them through content marketing—yet the methods you use won’t always mirror the ones you’d apply to target millennials and Gen X-ers. One major factor to consider is formatting. With all due apologies for the generalization, there are many Boomers who might have trouble reading smaller fonts or cluttered layouts. It’s vital to use larger fonts and allow plenty of white space in your content, and to make sure that your articles and blog posts are easy to read across all device types. Language is always relevant to the community of speakers; so, what may be a really well-known slang term or Internet abbreviation among millennials may mean something totally different to Boomers. If you’re writing to an older crowd, make sure your language doesn’t skew teenage. Spend some time listening to your customers to get a sense of how they communicate. Boomers may not have the same built-in affinity for Internet technology that younger people do, but they’re not dumb, either. You don’t have to be condescending in your content writing, nor pause to explain Web basics that everyone already knows. Be judicious about when you offer explanation, and when you keep things straightforward. This is arguably a good tactic for any marketing efforts, but it’s especially true of Boomers: Clickbait methods don’t work nearly as well as you might think they do, so instead of bait-and-switching your readers with a provocative headline, focus on something that offers plain value. Does your article offer tips for preventing frozen pipes? Good titles might be How to Keep Your Pipes from Freezing or even, well, Tips for Preventing Frozen Pipes. Once you create your content, you need to promote it—but which platform should you use for doing so? Research confirms that Facebook’s demographics tend to skew a bit older, while newer channels—such as Snapchat—may not have caught on with more mature adults just yet. Make sure you do your promotion on platforms where you know your audience can be found. No matter who makes up your target audience, it’s important to tailor your content marketing to meet them where they live. That’s something that requires plenty of data and a proven strategy—something Grammar Chic, Inc. can offer. Contact us today to set up a content marketing consultation. Reach the Grammar Chic content marketing team at www.grammarchic.net, or 803-831-7444. Food for thought: There is no magic formula or special combination of words that will guarantee your resume lands successfully, securing you an interview and ultimately paving the way toward your dream job. There are, however, some seemingly small yet deeply significant blunders that will get your resume thrown into the trashcan 99 percent of the time. Those odds may seem pretty daunting, but the good news is this: These resume blunders, while alarmingly common, are also easily fixable. You just have to know what to watch out for. We’ve written before about the importance of having some good, strong resume keywords—but there’s a difference between strategic keywords and just having a bunch of words vomited on to the page. Your resume should certainly speak to your value as an employee, but it’s important to be succinct in weaving this narrative. Don’t change your margins to allow for more words, and—with rare exceptions—don’t go over a couple of pages. Remember that to get hired, your resume needs to impress an actual HR manager—not just computer programs and robots—and very few managers have time to read a 5-page resume. Using words that don’t mean anything. Since you need to be judicious in the words you use, make sure you don’t waste valuable space on words that really don’t mean anything or convey specific value—words like hard-working or driven or self-starter. Again, we’ve blogged about this before. Focus on more concrete competencies, achievements, and results—not on these generic words and workplace euphemisms. Not including a clear summary. You may end up putting a lot of time and energy into your resume, but don’t be too disappointed to learn that, well, hiring managers may not read the full thing. They may glance at it for just a minute or two, which means you need something to catch their eye and tell your story in a nutshell—a good, strong executive summary at the top of the page. There is zero excuse for having typos and grammatical errors on your resume. Use Spell Check, have a friend proofread it for you, or just hire Grammar Chic to give your resume a once-over. Should you include a lot of technical details about a project you worked on 20 years ago? Maybe—but only if those details directly relate to your current career goals. Again, make good use of your limited resume real estate, and orient everything around your basic career narrative. Of course, an easy way to avoid all of these pratfalls is to hire the Grammar Chic team to review and refine your resume; call us today at 803-831-7444, or visit us online at www.grammarchic.net. Does looking for work fill you with dread, despair, and anxiety? Or do you view it as something exciting, something hopeful, something inherently optimistic? If we’re really being honest with ourselves, most of us would probably fall into the former category. The job search isn’t something that energizes us. It’s something that leaves us drained. But maybe that’s the problem. Maybe our attitude about the job search is precisely what keeps us from being more successful at it. A recent article from Psych Central makes the case. According to the article, new research suggests that “those who can look at the process as a self-growth opportunity will have more success finding their dream jobs.” Those who go into the job search process not with pessimism or despair but with the eagerness to learn new things and seize new opportunities ultimately find satisfying career opportunities much sooner than those who do not. This points back to something the Grammar Chic team has said before—that setting goals is a critical part of the job search process. Of course, all jobseekers have the one goal—to find employment—but if that’s all you’re aiming for, you may become dispirited when it does not happen as quickly as you’d like it to. Alternatively, those who set more manageable benchmarks—to meet five new employers this week, to send out 20 targeted resumes, or simply to learn something every day—will be able to accomplish more, and ultimately feel more hopeful and energized by their progress. That attitude is what can carry jobseekers toward success in their ultimate goal of career progress. Something else to note: Seeking employment is a skill—and the more you practice it, the better at it you become. This is especially true if you’re actively invested in the learning process. By viewing each day as an opportunity to learn something new, you can actually grow more confident and more savvy in how you reach out to employers. So make today the day you start thinking about the job search as an opportunity—not a fool’s errand, not a necessary evil, not a chore. 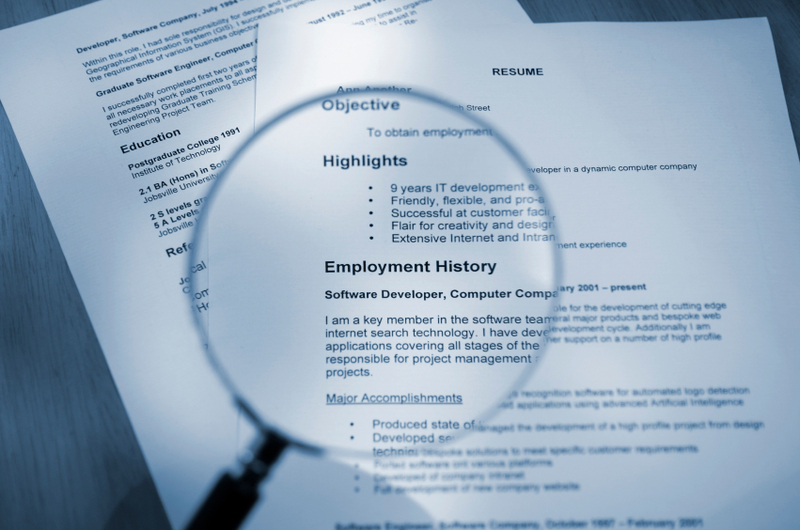 Get a new resume to give you confidence, and then start reaching toward your goals. Learn more by contacting the Grammar Chic, Inc. team at www.grammarchic.net, or 803-831-7444. It’s been said before that what you post on Facebook can ultimately determine the efficacy of your job search—that in many cases, what you post (or even what you don’t post) can cost you a job you might otherwise have landed. Consider this, though: According to a recent study, reported by Inside Facebook, a staggering 77 percent of all employers use Facebook to find candidates, while more than 20 percent will scrutinize Facebook profiles in order to screen candidates. Given these statistics, it is surely worth saying again: When you’re searching for employment, you must be careful about what you do or say on Facebook. You’re too negative. It’s reasonable to assume that, if you’re in the market for a new job, you’re on some level unsatisfied where you currently work, and may even be downright unhappy there. That doesn’t give you license to take to Facebook and complain about your current employer, though. Employers need to see that you can be a positive member of their workforce, and a true team player—so complaining on Facebook is a huge turnoff. You exhibit poor communication skills. Do u rite like this on FB? 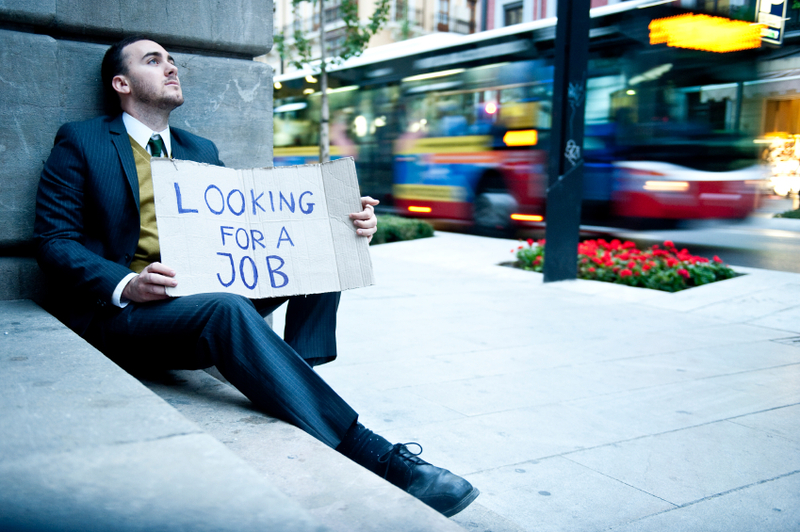 It could be trouble 4 your job search! Yes, Facebook is meant to be fun and casual on some level, but employers need to see some evidence that you can communicate in a professional and sophisticated way. Don’t give them reason to think otherwise. You’re lying about your qualifications. This might sound obvious, but: Employers will surely take note of any contradictions between your resume and your Facebook profile. If you say on your resume that you have an advanced degree from a big-name school, but your Facebook profile only lists a two-year degree—well, that could be a warning sign. This isn’t necessarily a matter of lying on your profile, either; your career prospects may be hurt simply because you are incomplete or less-than-thorough in filling out your profile. You post about drinking or taking drugs. We’re not here to judge you, but many employers will look down on you for this kind of thing—simple as that. You post discriminatory comments. This is another thing that may seem obvious, and you may think nobody would ever do this—but statistics show that employers routinely weed out job candidates because they post offensive or inflammatory things on Facebook. You don’t exhibit true professional depth. All of these potential pitfalls might make you think you’re better off just making your profile private—but not so fast: You can get a leg up on your competition by using Facebook to share insights or articles that relate to your line of work, thus proving that you’re serious about it and invested in it. In other words, you can use Facebook as a platform for proving your knowledge and your competence—which can make you that much more attractive to potential employers. Facebook is what you make of it—and for jobseekers, it is important to make Facebook into a true competitive advantage. To learn more, we invite you to contact the Grammar Chic team today: Visit www.grammarchic.net, or call 803-831-7444. Perform a quick Google search for the term “top children’s books” and you’ll immediately see a lineup of familiar favorites: Where the Wild Things Are. Green Eggs and Ham. Goodnight Moon. The Very Hungry Caterpillar. The Cat in the Hat. And, for slightly older children, Charlotte’s Web and A Wrinkle in Time. These books have enduring appeal: Even if you don’t have any kids of your own—even if it’s been a few years since you were a child yourself!—you know these books, at least by title and likely by content, as well. Several of them have been turned into movies in recent years, and most of them could be obtained at your local Target right now—and certainly at any library or bookstore. They’ve sunk their hooks in, these books—and they’ve created loyal, enthusiastic fans the world over. When you think about it, that’s sort of what content marketing is supposed to do for your business. 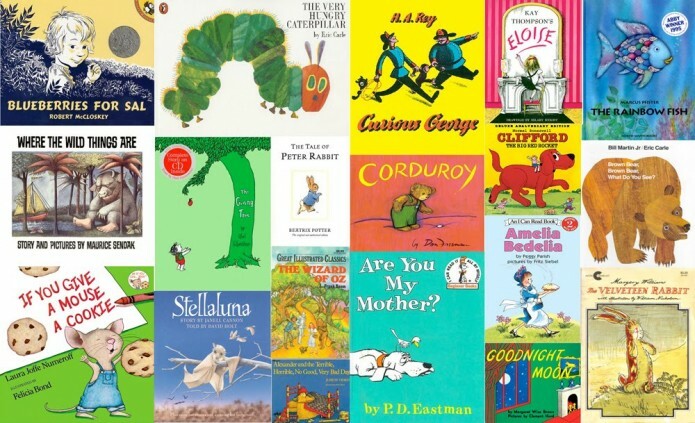 This begs the question: What lessons can content marketers learn from children’s literature? – Let us not be dismissive of the fact that many of them possess brevity—because of course, you’re not going to have much luck getting a toddler to sit still for a 900-page opus, nor would you have the time or patience to sit and read it to them! Online content doesn’t necessarily have to be short, and in fact there is an important place for long-form content. With that said, you should always be mindful of the realities of online attention spans—and precise in making your point as fully yet succinctly as possible. – Another thing you’ll notice about a lot of these children’s books is that they come adorned with beautiful illustrations. You may have never read Brown Bear, Brown Bear or The Very Hungry Caterpillar, yet you’d recognize the book covers if you saw them. It’s no wonder kids are drawn to books packaged so colorfully and so stylishly. Similarly, content marketers understand the importance of using bright, vivid, attention-grabbing artwork and imagery, in blog posts, on Facebook, and so on. – A lot of children’s books com with a moral at the end of the story—sometimes obvious and sometimes less so: We might rightly say that Charlotte’s Web is a book about friendship, whereas Brown Bear, Brown Bear is excellent for teaching your kids to recognize colors. Your online content, meanwhile, doesn’t necessarily need a “moral,” but it should have a takeaway—some actionable point that the reader can take and implement right away. – You’ll also note that many of these children’s books are interactive. Brown Bear is one that invites you to pause and let your kids point out their favorite critters or colors, as depicted in the story. Great online content also encourages engagement—whether it’s to leave a comment or simply to share on Twitter or Facebook. – Finally, and most importantly of all: The books we’ve mentioned here—the truly classic children’s books—all boast supreme imagination. There’s no substitute for it, not in children’s lit and not in content marketing. Don’t settle for rehashing the same ol’ articles; strive for something distinct! For help with that, reach out to Grammar Chic’s content marketing team. We can be reached at 803-831-7444 or via http://www.grammarchic.net.